It all started with an idea for summer fun, in the midst of a verdant paradise, at a family home he’d visited every year since he was a wee toddler. Now he was a 19-year-old cellist who wanted his college friends to hang out and play music at his grandma’s lake house. They could play string quartets practically in their sleep. Why not invite a few neighbors to hear them? Kyle Price. Photograph by Katherine Esposito. Paradise was tiny Caroga Lake, New York, a 54-square mile town in the lower Adirondacks that is home to 1,200 permanent residents and booms to 4,000 every summer. In 2012, the cellist, Kyle Price, asked a group of friends from undergrad at the Cleveland Institute of Music to join him, and they wound up performing Bach and Mendelssohn as an opener for the Philadelphia Orchestra at the Saratoga Lake Performing Arts Center as well as at two other venues. Not bad for a first stab at a music party. Kyle dubbed the event the Caroga Lake Music Festival, and an annual tradition was born. 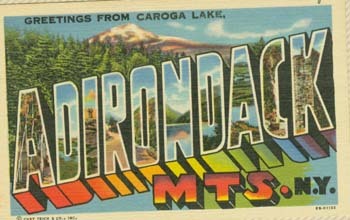 In 2015, in its fourth year, the Caroga Lake Music Festival offered four weeks of free concerts at venues ranging from Fulton-­‐Montgomery Community College in Johnstown, the Canada Lake Marina (on floating barges), several churches, a nursing home, on a farm and in New York City. 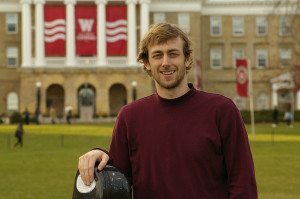 Kyle, now a master’s student and Collins Fellow at UW-Madison, studying with professor Uri Vardi, plans a fifth festival for 2016 and has even bigger ideas: he is cultivating support to evolve it into a year-round arts center located on the site of Sherman’s, a long-shuttered amusement park. He’s created an official nonprofit, the Caroga Arts Collective, and established a board of directors sprinkled with names from big companies like L.L. Bean, Borden Dairy and two law firms – all people with summer homes in the area. Somehow he’s doing this around a full-time schedule as a music student. “It’s tough,” he says, with a laugh. “Recently, I’ve been needing to go back there to present things, meaning I miss class here, but the teachers have been great.” His classes mostly include performance-based classes such as chamber orchestra with conductor James Smith and chamber ensembles with professor Parry Karp, but he’s also enrolled in Jazz Improvisation with saxophone professor Les Thimmig. It was the Internet that got him hooked on Madison. All of these, he said, are why Vardi nominated Kyle for the Collins Fellowship, a full graduate scholarship funded by longtime School of Music supporter Paul Collins. His intuition was accurate. In 2015, Kyle was a winner in the Yamaha Young Performing Artists Competition and a finalist in the G. Gershwin International Music Competition. After graduation next spring, he plans to devote himself full-time to growing the Caroga festival, plus freelancing and composing music. Kyle has high hopes for the future of the festival, now an annual tradition that has captivated those who live in the Hudson and Mohawk Valleys of central New York state. It may have begun as a lark, but it’s brought deep pleasure to the small community. “We have a mix of audience: the experienced ones who’ve been to Saratoga and New York City, and people who are completely brand new and who are experiencing classical, jazz, even alternative music for the very first time,” he says. For 80 years, UW-Madison’s Summer Music Clinic has provided its campers with the chance to learn new skills through a variety of different classes and performance opportunities. According to program manager Anne Aley, Summer Music Clinic offers two instructional sessions—one for middle school students, which was held the week of June 16, and one for high school students, which concludes Friday, June 27.